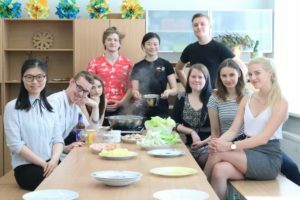 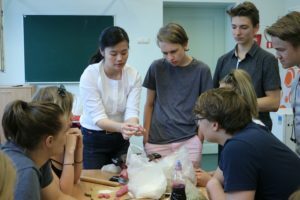 Local time 15th May,2018 and 19th May，Chinese teacher Dong Fang and Wu Tiantian held a theme of “Chinese cuisine” Chinese corner culture experience activities in Confucius Classroom at Riga Culture Secondary school, more than 30 students participated in these activities, which included hotpot and dumpling. 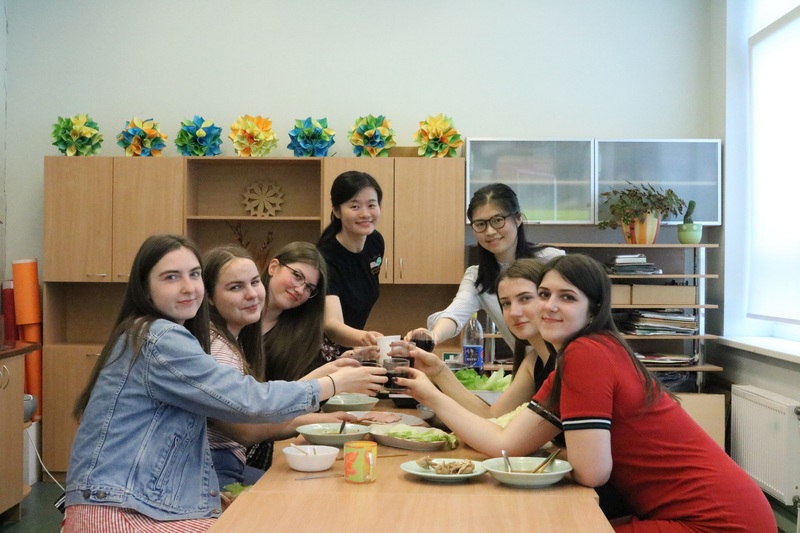 There are three Chinese credit classes in Confucius Classroom at Riga Culture Secondary school, grade 10,grade 11 and grade 12, who have been studying Chinese for one year, two years and three years respectively. 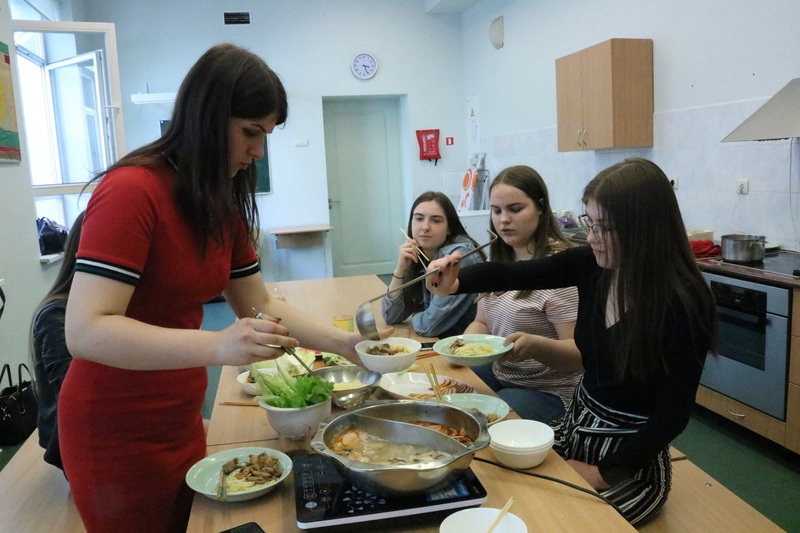 Students from grade 11 and grade 10 have experienced dumpling-making activities, so Chinese teachers prepared hotpot for them, and prepared dumpling-making activity for grade 10 who haven’t experience any Chinese cuisine activity. On 15th May, on grade 11 and grade 12’s Chinese lessons,teachers and students prepared Chinese Yuan Yang Hotpot and enjoyed eating together. On 19th May, students from grade 10 followed teachers to mix, knead, roll, wrap and cook dumplings. Two Chinese teachers have prepared various kinds of vegetable juice for the dough, and the colorful dumplings have been well received by the students. “Hotpot” and “dumpling” are the most representative Chinese cuisine. 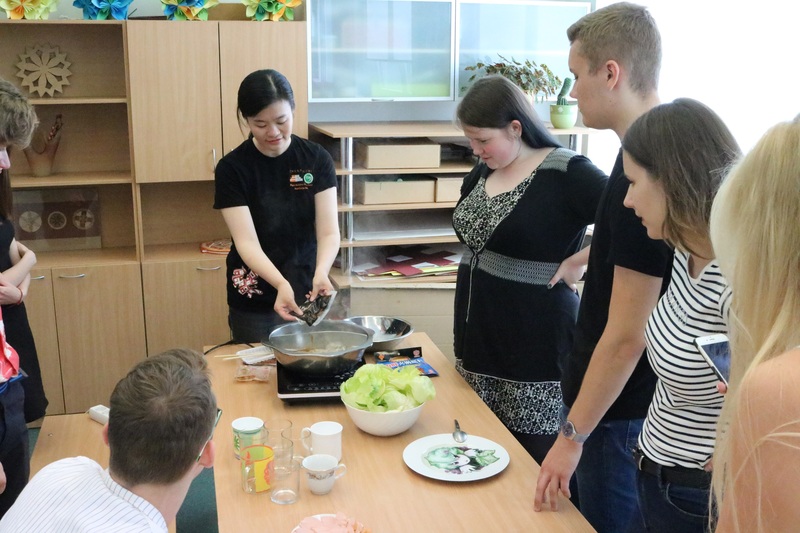 This activity enables students to have a deeper understanding of Chinese cuisine in practice, in delicacy and in joy. 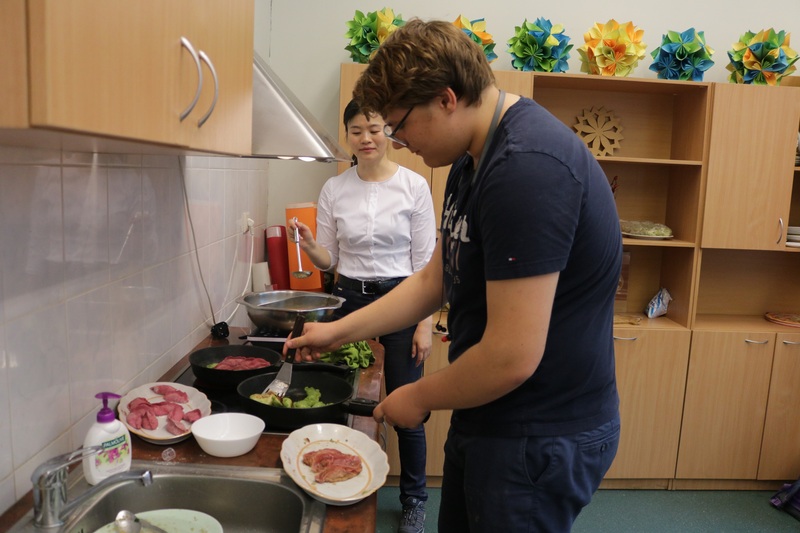 The students expressed their interest in such practical lesson and are looking forward to the next practical activity.